TECAMID™ 6/6 GF30 is a 30% glass-fiberreinforced nylon 6/6 material whose important properties include high tensile and flexural strength, stiffness, excellent heat deflection temperature, and superior abrasion and wear resistance. While all TECAMID™ materials have high mechanical strength and superior resistance to wear and organic chemicals, TECAMID™ 6/6 GF30 has more than double the strength and stiffness of unreinforced nylons and a heat deflection temperature which approaches its melting point. TECAMID™ nylons are resistant to most organic solvents. At 66 psi, TECAMID™ 6/6 GF30 has a HDT of 490®F. Even at 264 psi, the HDT is in excess of 480®F. TECAMID™ 6/6 GF30 has a wear rate approaching that of internally lubricated bearing materials. 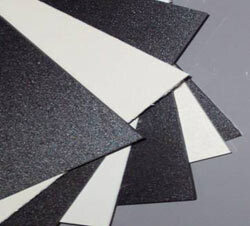 Additionally, the reinforcing glass fibers give this extruded nylon excellent abrasion and cut resistance. TECAMID™ 6/6 GF30 has a tensile and flexural strength more than double that of unreinforced nylon and a flexural modulus three times higher. These values are equalled or exceeded only by reinforced specialty materials costing many times more. TECAMID™ 6/6 GF30 has been successfully used in gears at high stress levels for many years. TECAMID™ 6/6 GF30 has an excellent balance of properties which make it an ideal material for metal replacement in applications such as automotive parts, industrial valves, railway tie insulators, and other industry uses whose design requirements include high strength, toughness, and weight reduction.